Anne Purvis and her team at the Club House by A P provide all catering services at Uphall Golf Club. Anne works closely with the clubhouse staff and management to deliver all aspects of hospitality from daily lunches, dinners, light snacks to functions and events including weddings, funerals, dinner dances, private parties, corporate events, visiting golf parties and much more! Event menus are tailored to suit all tastes and budgets. Anne will work closely with you to make sure your catering needs are fulfilled and to provide you with excellent food and customer service. I am most passionate about excellent customer service and good wholesome food. I have 10 years experience in hospitality working my way from server to Front of House Manager. I have always loved what I do and am excited about my new venture which I would say is my biggest accomplishment to date. Uphall Golf Club has embraced the relationship where we have a joint goal to rejuvenate the clubhouse by encouraging both members and non-members to visit whether it’s for a coffee, lunch, dinner or an event or to celebrate a special occasion. Losing a loved one is never easy and we respectfully provide catering for these difficult times. 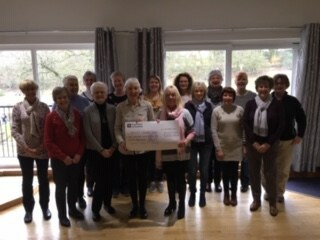 The Clubhouse by A P are delighted to have received very positive feedback on our events so far such as the club dance /seniors dinner /a large event for a local choir. Our main goal is consistency with both our food and customer service delivery. Our hours of operation change seasonally and are especially subject to change during the winter months. Of course, we will do our best to accommodate your specific requirements. Please contact Anne and the team to discuss your forthcoming event or any aspect of our catering service T: 01506 856404 or E: [email protected] or see below for current opening hours.